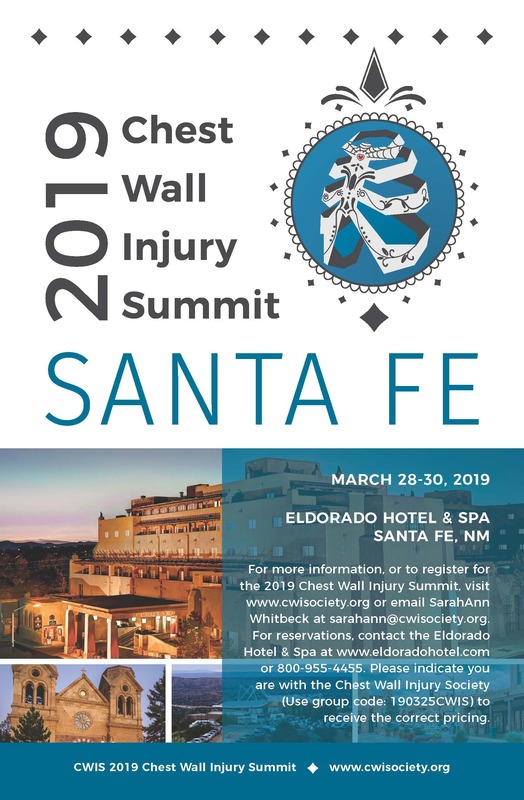 The 2019 Chest Wall Injury Society annual meeting features a highly collaborative and cutting-edge exploration of current operative, and non-operative, approaches to chest wall trauma. Shared experiences and expertise of surgeons from around the world provide a unique educational experience. Ongoing and future research to optimize the care of patients with chest wall injury will be presented.